The freedoms of American society present unique challenges to the Christian church. One such challenge is having to face the many cultic movements that flourish in this country. 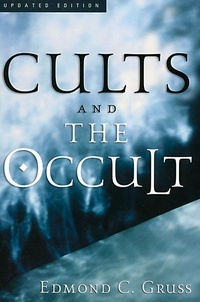 In this helpful book, noted cult expert Edmond C. Gruss provides the historical background and teachings of over fifteen major cults including the Jehovah’s Witnesses, Mormonism, Spiritualism, Astrology, Seventh Day Adventism, Christian Science, and the Baha’i faith. Gruss analyzes each group from a biblical perspective and provides useful bibliographies for further study as well as a listing of groups that deal specifically with these organizations. Very saddened that this "Dr" would include the LDS church in this book of cults. The dictionary has as a synonym for the word "cult" as "religion" its a deragatory term used for people with whom you disagree. It was given to the ancient Christians by the Jews and Romans, as well as pagan. Its sad to see today's so called Christians doing the very same to peaceful religions who did nothing to deserve it. I just can't wait until the Savior comes again and remedies the sad state of christendom.